Armand Rosamilia has a lot going on in his head. At any given moment, he could be writing a crime thriller, a zombie novel, an over-the-top humor book, or a paranormal thriller. With more than 150 stories published—from shorts to novellas to novels—the only time he’s not writing is when he’s sleeping. 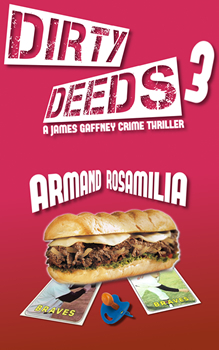 Rosamilia’s latest, DIRTY DEEDS 3, continues a crime thriller series starring main character James Gaffney. This time around he’s called upon to give testimony against The Family, a branch of the New Jersey mob operating in Philadelphia. The Philly crew takes exception to Gaffney’s impending testimony and attempts to eliminate him. At the same time, the FBI is working hard to implicate him on kidnapping and child deaths spanning many years. You don’t have to read Gaffney’s two prior adventures to enjoy this one, but Rosamilia admits it helps to know his full backstory, so we started there. Who is James Gaffney and what drives him? James Gaffney is a man hired to kill children. If you’re a sports star or a rock star or a millionaire and you’ve had a baby with someone and it’s making your life complicated, James Gaffney will take care of it. Only he doesn’t actually kill the child. He saves them, gives them a new life. He’s part of this system himself, so he knows what it’s like to have a parent or parents who want you dead. It has guided him into his mid-forties. Does Gaffney change or grow from one novel to the next? Yes. James realizes after the first book he’s no longer the twentysomething he used to be. He can’t use his fists to get out of every situation and his moral code is firmly intact. He sees his weaknesses being used against him and tries to do something about it as the series progresses. Is there some of you in your lead character? Definitely. My beta readers all said it was the closest I’ve ever come to writing myself into a book. He has my sense of humor, some of my quirks, and realizes his limitations. I didn’t do it on a conscious level, but as the series progresses I am seeing it. Despite the heavy themes, there’s a mix of humor in the situations facing your character. That sounds like a very Hollywood thing to do, reminiscent of, say, the one-liners in Die Hard and Lethal Weapon. I wanted the stories to be pulp fiction. Light reads you can sit down and devour in a night or two. A fun rollercoaster of a story. If it was all dark and hopeless I think you’d lose the reader. I didn’t want to write a dark series. I wanted it to be like a movie. Die Hard is the best example because it was an inspiration. I think humor and great dialogue between characters is a great break from the deeper, darker parts of the story. One of your early reading influences was Dean Koontz, but you only started writing full time when you were forty. What happened in those between years? Life got in the way. While I always wrote stories and had an occasional one published, I got bogged down in two failed marriages, raising three children, working long, long hours as a retail manager, and feeling like I was never going to realize my dream. Then I got fired from a horrible retail management job and while I was looking for another soul-sucking retail management job I began to write again. I was in a long-term bad relationship at the time and writing took my mind off of no money, no job prospects, and still being with someone I no longer liked being around. I got into it again at the perfect moment, as Amazon and self-publishing was becoming the monster it would eventually become. I got noticed, sold a lot of books, and never looked back. I got out of the relationship and found a woman who finally supports my dreams and lets me do my thing because it makes me happy. Where and how did you learn your craft? I have had no formal training other than a creative writing class in high school. The teacher, Miss Stansky, was very supportive. She really helped me to see the story for what it was: the plot, the characters, the cadence of the story itself. She taught me to find my voice. She also gave me the confidence I could become a great writer. How did your podcast on writing and publishing get started? I was on AM and then FM radio for a couple of years. At one point I did an interview show with another author talking to local authors. When the travel became too much I decided to try out a podcast, which I had recently learned about. I’m glad I did. Arm Cast Podcast has been around for three years. I interview other authors and try to learn something about their technique, promotions, or just what makes them tick as an author. Recently I started a second podcast, The Mando Method Podcast, with co-host Chuck Buda. He’s a newer author and we help one another to find solutions to our own writing problems like marketing. They’re both on Project Entertainment Network, a podcast group I loved so much I purchased it in late 2016. I am a pantser. I do no outlining for anything unless it is a contracted book and they want to see an outline. I can do them but I’m not a fan. I used to outline and it killed me creatively. I just start writing and let the story move along itself. Where do you eventually want to be as a writer? I’m in a really good place with my career. I get to travel to a lot to conventions. The podcast network is a great experience to meet new people. Getting to sit around all day in sweatpants writing and relaxing is a dream come true. If I never moved up another notch in this career, I’d still be quite happy with where I am. You can find him on his website for not only his latest releases but interviews and guest posts with other authors he likes! 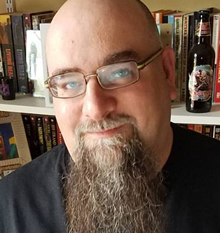 When he’s not working on his own novel or screenplays, G. Robert Frazier writes about other writers and their works on his blog and other sites such as BookPage, Killer Nashville, and US Review of Books. 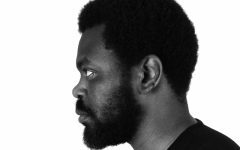 He is a script reader for both the Austin Film Festival and Nashville Film Festival screenwriting competitions and is a member of the Tennessee Screenwriting Association. He used to write and edit stories for several newspapers in the Nashville area until the industry caved in on itself and set him free. And he once won a flash fiction contest in Alfred Hitchcock’s Mystery Magazine, so there’s that.